Asking me to write about pizza, is like asking a child to talk about Disneyland. I don’t know where to start, I’m lost. San Marzano Tomatoes are starting to bubble through my veins. Pizza, pizza… To most, pizza is just food, to others (like myself), pizza is a way of life, a religion, a divine symbol left behind from an ancient Civilization…the Neapolitan Civilization. I can’t think of any other dish so viscerally connected to a city and its entire population. 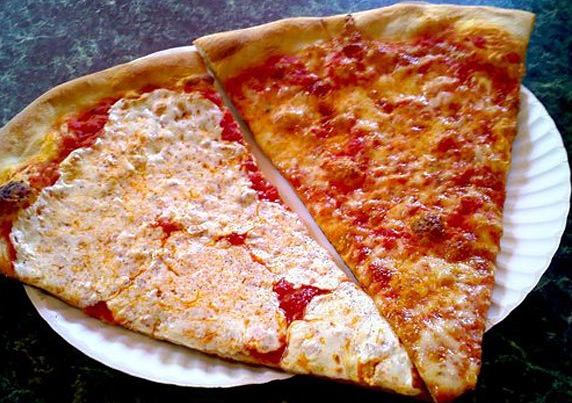 Napoli is Pizza and Pizza is Napoli and neither one can exist without the other. So local, yet so global. 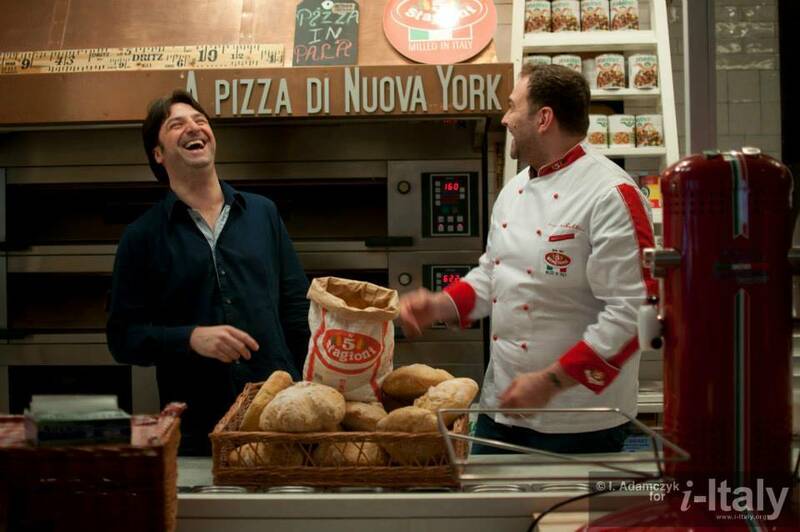 From Napoli, pizza has traveled all over the world being imitated and reinvented in each corner of the planet. What is the reason behind the world-wide success of Pizza? Flour, Yeast, Water and Salt, and the dough is done. Add tomatoes, Mozzarella, Basil and Extra Virgin Olive Oil and the most known dish in the world is served. Simplicity. The key to its success has to be simplicity. Everyone can make it and everyone can be an expert at it. Few ingredients and a simple process are the base. Creativity and passion make up the rest. What we mostly know as Pizza today (tomatoes and cheese, to be clear) most likely originated 300 or more years ago in Naples, but although the geographic origins are pretty well established, we can’t be sure about its birth date. 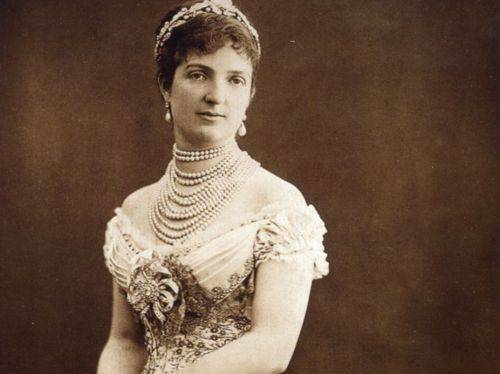 History tells us that Pizza Margherita was first made in 1889 during the visit of Queen Margherita of Savoia to Naples. Denying such a legend, many said this was the biggest invention and marketing campaign of the century. Italy was just unified and the Queen was looking for consents across a population that did not accept the unification of Italy, which was perceived as an invasion more than anything else. Serving a dish from Neapolitan tradition and using the color of the new born Italy’s flag (tomatoes for red, mozzarella for white and basil for green) was a genial way to bring the Queen closer to the hearts of the Neapolitans. Many historical books witness to the presence of pizza Margherita already at the beginning of 1800, one hundred years before the visit of Queen Margherita and attribute the name to the daisy flower (Margherita in Italian) due to the similarities between its petals and the mozzarella strings. 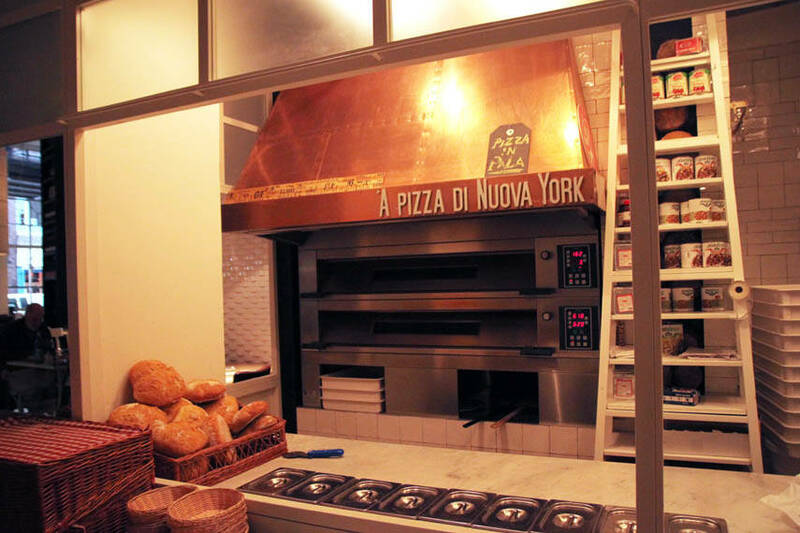 No matter how it started, pizza in Naples has now been made in the same way for centuries. Traveling in time and around the world, though, it has been so drastically modified that in order to protect its ancient making process, it was necessary to establish a protocol that would certify the allowed ingredients and method of production. The certified product is what is known by most as Neapolitan Pizza, the only PIZZA that should carry this name if you ask someone from Naples. The dough should be prepared according to a specific protocol and only made with water, flour, salt and yeast. No eggs, no sugar, no oil is ever added into the dough. Those are curses according to the gospel of Neapolitan Pizza makers. Pizza should be cooked in less than 90 seconds in a wood-burning oven. The final result should be a 10 to 12 inch in size, round pizza with a fluffy raised crust, cooked but sill soft in such a way that you can fold it in 4 parts without breaking it … The more I write about it the more I think about it and the more I want one now!!! For a true Neapolitan there is no other pizza. There is only one kind of pizza. 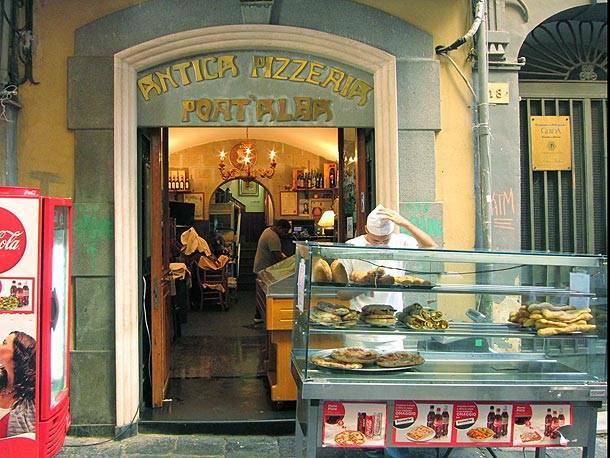 All around Italy, there are different kinds of pizza styles, but for us Neapolitans you can call them focacce, pizze a taglio, pizze a metro, pizza romana, pizza barese, pizza “whatever.” Bottom line is, any other style needs an adjective to qualify as pizza. 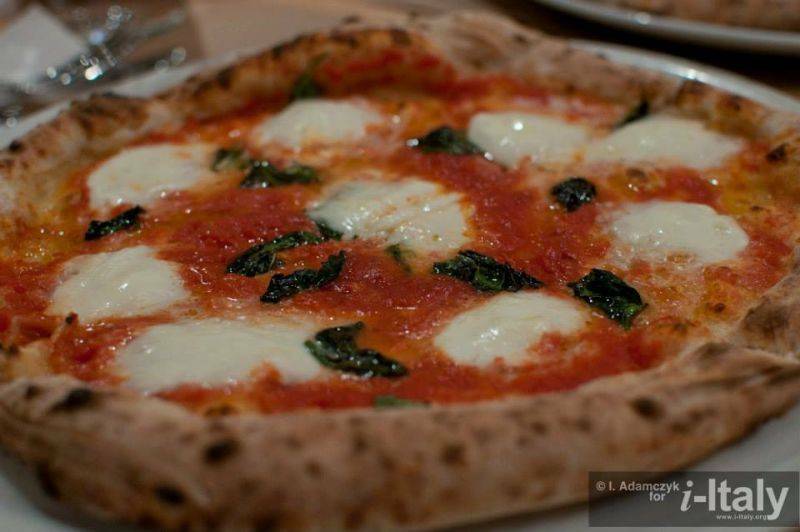 Neapolitan pizza is the PIZZA, no adjectives are needed. 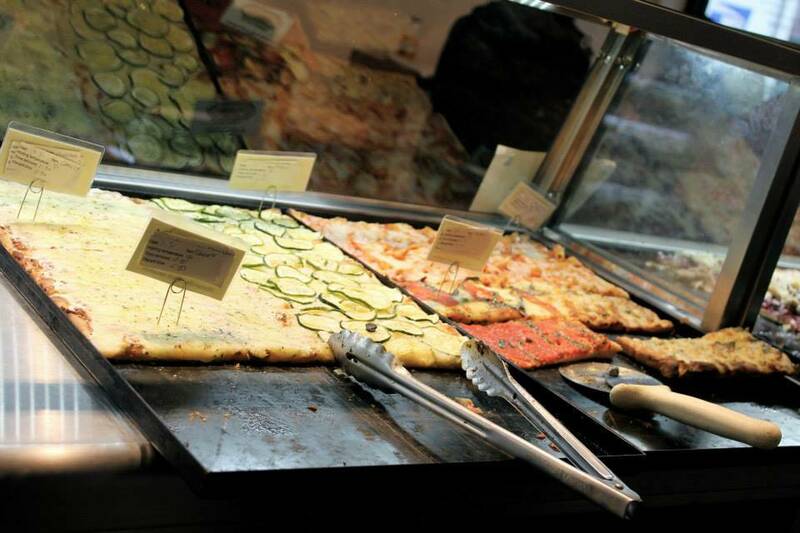 In Rome for example, pizza is still similar to Neapolitan in the shape and look but it’s extremely thin and crunchy. 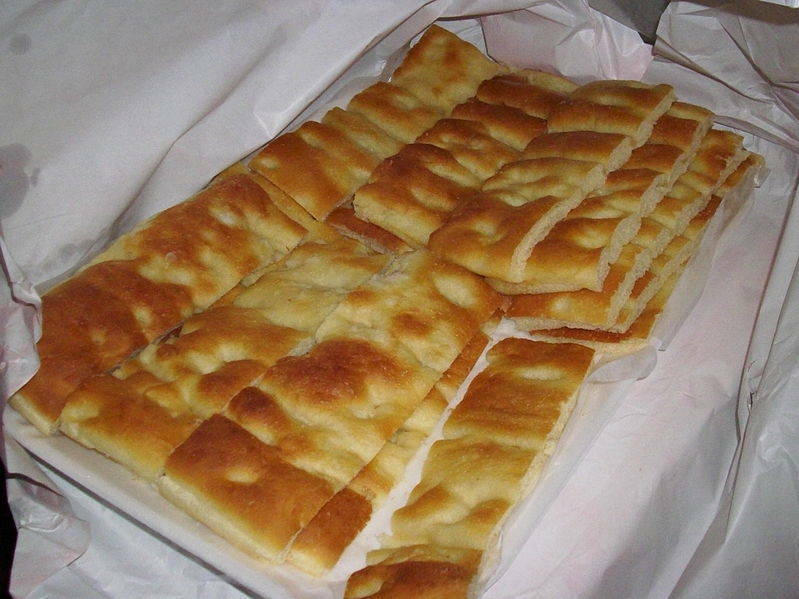 A blasphemy to Neapolitans, but loved by many across the country. 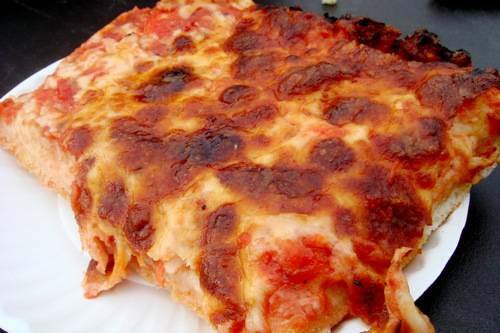 What in the USA is known as Sicilian pizza has definitely found its origins in the Sfinciuni a variation of pizza still widely served in areas surrounding Palermo. The name sfinciuni comes from the Arab word isfang (sponge) and it actually looks like a sponge of dough topped with a thin layer of tomato sauce, anchovies, onions, oregano and small pieces of local cheese. 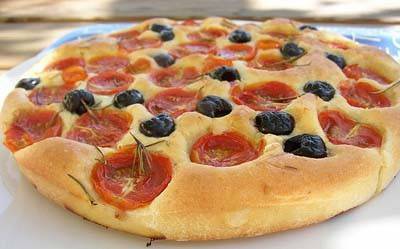 Focaccia Genovese and Pizza Barese are two other varieties. Reality is, that every region, every city, every house you go to, you will find a different style of pizza. Pizza is very easy to make and is a great way to get the family together in the kitchen. I still remember playing with dough while my mother would prepare it. I use to love when she prepared her pizza di scarole. Literally an oven baked pie made with pizza dough and filled in with escaroles, olives and anchovies. I remember those cold winter nights. My brother and I playing in the kitchen where the warm oven created a comfort zone and the smell of the pizza baking in it was like an inebriant drug. 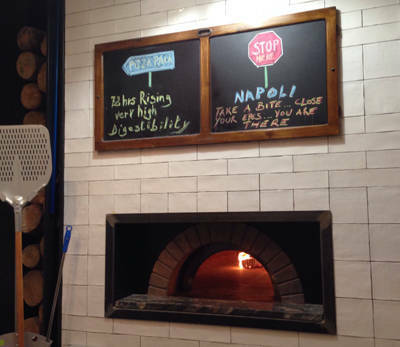 Napoletana, Genovese, Romana, Siciliana, Barese, New York, Chicago, al taglio, deep dish, wood burning, electric, brick oven. Confused enough? There is one thing that can put a stop to all this confusion about the nomenclatures. If a Hamburger is named after the German city of Hamburg and Frankfurter is named after the German city of Frankfurt, and if all pizza come from its original Neapolitan version why the heck we call it pizza? Shouldn’t we call it NAPOLETANER?? ?